I spoke to Santa Ana City Clerk Maria Huizar today about the Term Limits measure that will be on the November ballot. This measure will limit the Mayor to eight years while allowing the City Council to serve up to 12 years. UPDATE: A four member city council voted tonight to unanimously put to the voters a four term limit of 2 years each for the office of Mayor. 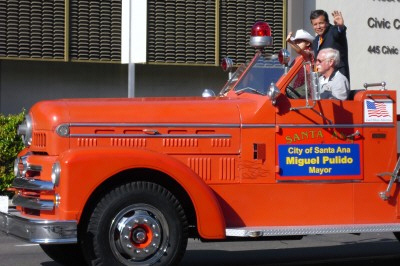 I can understand why the Santa Ana City C0uncil Members are upset at Mayor Miguel Pulido. Let’s face it – he has been running circles around them for almost 20 years. But he is now dealing with a Council that, for the most part, he did not elect. 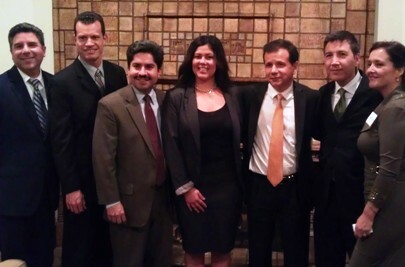 He opposed Sal Tinajero and Michele Martinez when they first ran for the City Council. He did create David Benavides, but when Vince Sarmiento was appointed to the Council, to replace Jose Solorio, he was already his own man. Unlike Benavides, he was a polished product and a guy most people respected. 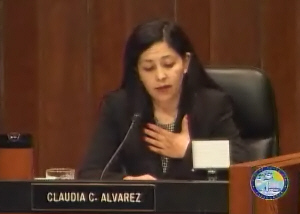 Who would have forseen two Pulido allies going down in flames – Carlos Bustamante’s own alleged misbehavior did him in, and Claudia Alvarez could not undo the term limits she helped create. Now Pulido, like Julius Caesar, is surrounded by short swords and although we are headed into August, it might as well be the Ides of March. 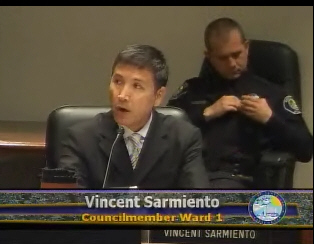 Tonight’s Santa Ana City Council meeting, which was held at the SAPD’s Community Room, was, as predicted, a real zoo. Media vans and news crews were everywhere and residents and out of town bloggers packed the proceedings. 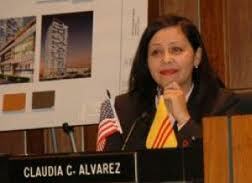 Will Mayor Pro Tem Claudia Alvarez run for the SAUSD School Board in 2012? 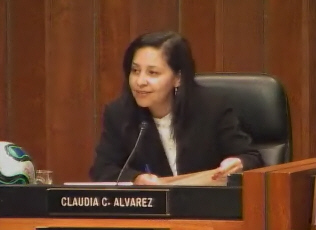 Santa Ana Mayor Pro Tem Claudia Alvarez most likely won’t be able to run for a fourth term on the Santa Ana City Council, according to an article posted in the Voice of OC today. 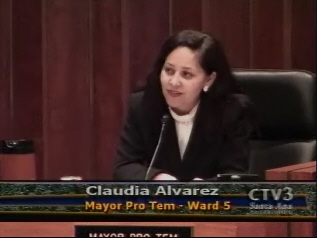 Alvarez is going to term out in 2012, but if she wants to stay in politics she has a lot of options. 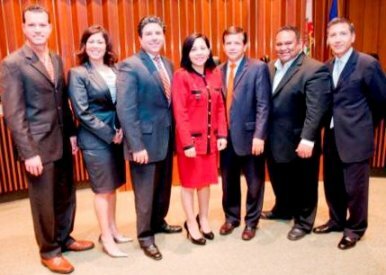 Alvarez will have served three terms on the Santa Ana City Council, after extending term limits by one term via the successful passage of Measure D, a few years ago. Alvarez chose not to run for the 69th Assembly District again. Her colleague, Council Member Michele Martinez is the leading contender for that seat. 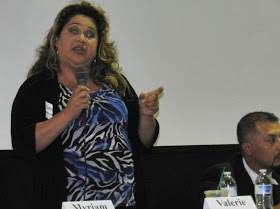 Alvarez could run for the First Supervisorial District, against incumbent Janet Nguyen. But it is more likely that State Senator Lou Correa may do so.